As part of our Blacktastic State of Black Science Fiction presentation at GA Tech, each of the participating authors was asked to write and read a short story with a powerful and mysterious bracelet as the recurring theme. Below is my contribution. Enjoy! 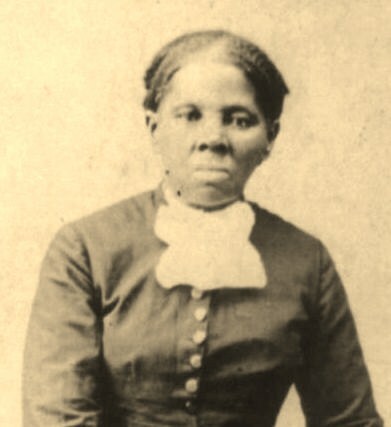 “There are twenty grown folk in here and y’all scared o’ two men?” Harriet asked, shaking her head and frowning in disgust. “Damn,” Harriet whispered as she ran to a leather rucksack she had lain at the opposite end of the barn. She placed her lantern beside it and snatched the bag open. Harriet drew a large black steel revolver from her rucksack. The weapon possessed two barrels and a drum-like cylinder that contained twenty chambers, in two rows. Posted by Balogun on February 17, 2012 in Dark Fantasy, Fantasy, Harriet Tubman, Historical Fiction, Horror, Panel Discussion, Science Fiction, Short Story, Speculative Fiction, Steampunk, Supernatural, Thriller and tagged africa, african, afrika, afrikan, alicia mccalla, balogun, black, black speculative fiction, chronicles, l.m. davis, milton davis, mocha memoirs press, moses, racism, valjeanne jeffers. Okay, you can stop teasing us and finish that piece. “The Liches of Eastwick.” Reads good, sounds good and left me wanting to know more. Carry on, sir. RIE. This is so on point. I appreciate your creativity and imagery!!!! Will be watching you!! !